A new wave of anti-Conservative protests is due to bring the capital to a standstill after a violent demonstration saw a war memorial defaced. A protest group is organising further marches in London’s financial centre with other demos also expected in other towns and cities across Britain. 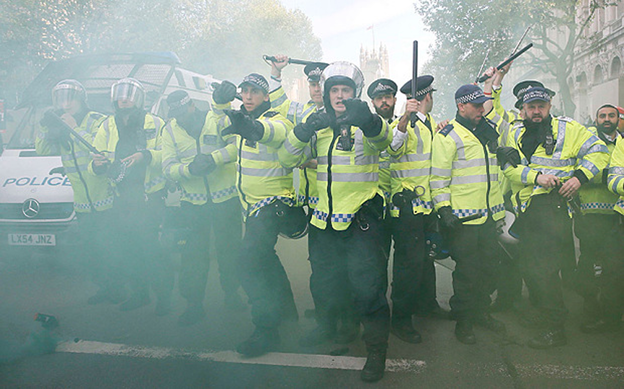 The largest event will gather at the Bank of England on June 20, with violent factions already threatening to overtake the peaceful protest. One anarchist group warned it would “raise hell”, with supporters pledging to commit violence and arson. A group calling itself Reclaim the City said it would bring violence to the peaceful protest being organised by the group End Austerity Now. “Time to raise hell in London, our voice is ignored year after year so now is the time to make them afraid and make real change happen for us all,” said Reclaim the City’s Facebook page. 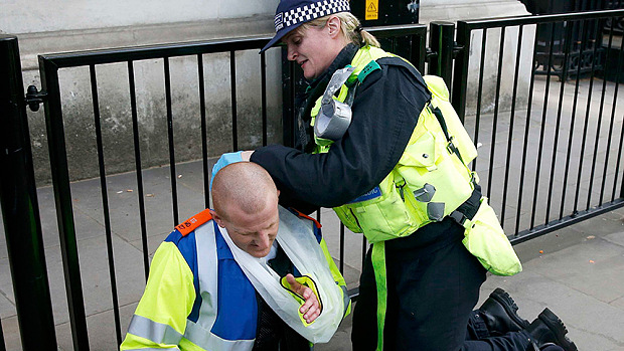 Fifteen arrests were made after four police officers and one member of police staff were hurt in violent scuffles. 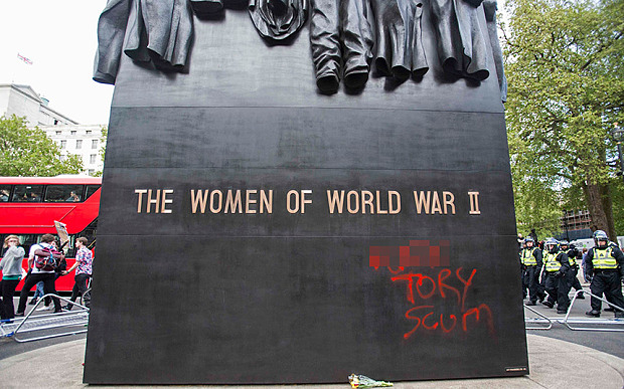 Chief Superintendent Gerry Campbell, of the Metropolitan Police, said: "We have launched an investigation into criminal damage to the Women in World War II memorial. Fourteen of the people arrested have been bailed to return to police stations in July pending further inquiries and a 24-year-old man suspected of assaulting a police officer remained in custody.